When we think of denim the first thing that comes to mind is either a pair of jeans or your typical denim jacket. This Spring sees the play with patterns lessened. Instead focus is on making the monotone more interesting. This includes what we see happening to denim. 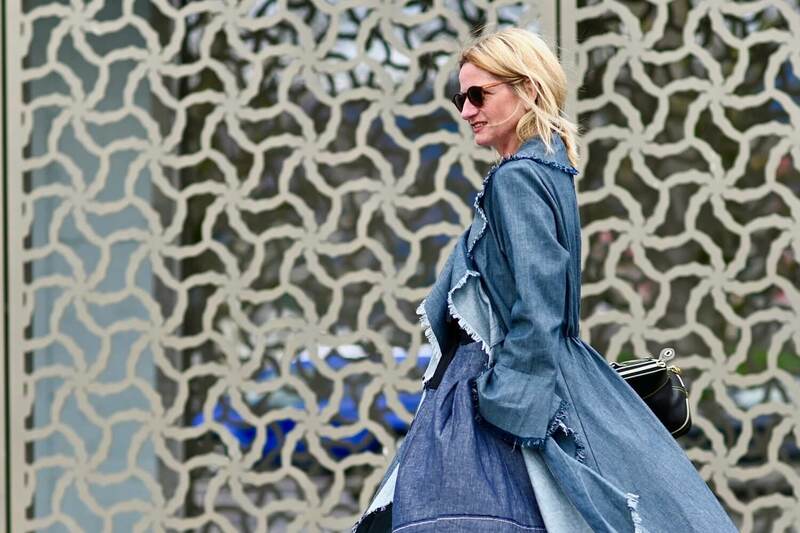 Denim is taking on a new dimension this Spring. 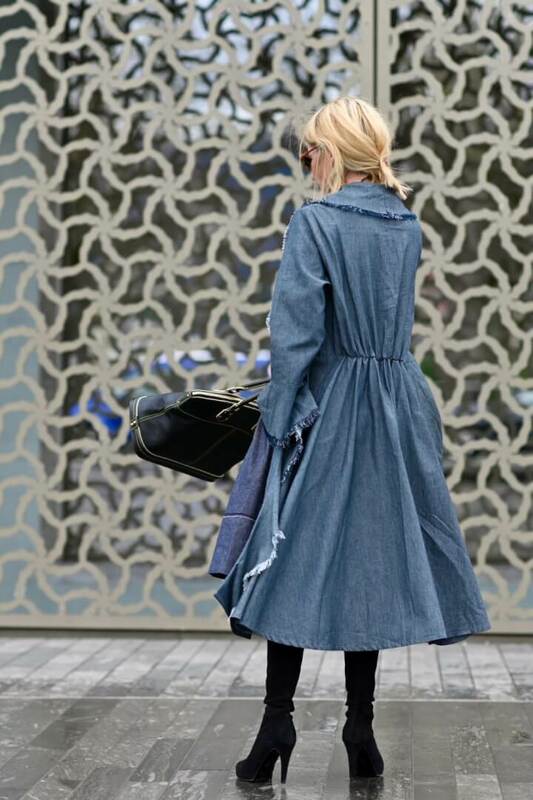 The idea is to do whatever you like with your denim as long as it’s unique and stands out in a crowd. It’s the perfect basic playing field for those creative among you. Time to dig into the bottom of your wardrobes, get that old denim and recreate it into something new. Todays outfit comprises a skirt I bought 4 years ago and this seasons denim overcoat by Violet Fish – one of my favourite Australian brands. Keep reading for a look at taking denim to the new dimension this Spring. The easiest pieces to team your denim with remain the white t-shirt and black accessories. The gathered detail on the back of this coat give it a slightly tailored look, still letting it flow in an oversized manner at the same time. Photographed on another of those really windy days again – I will be glad once the weather calms down again… roll on Summer. Stay tuned for Travel and Lifestyle News this Week!